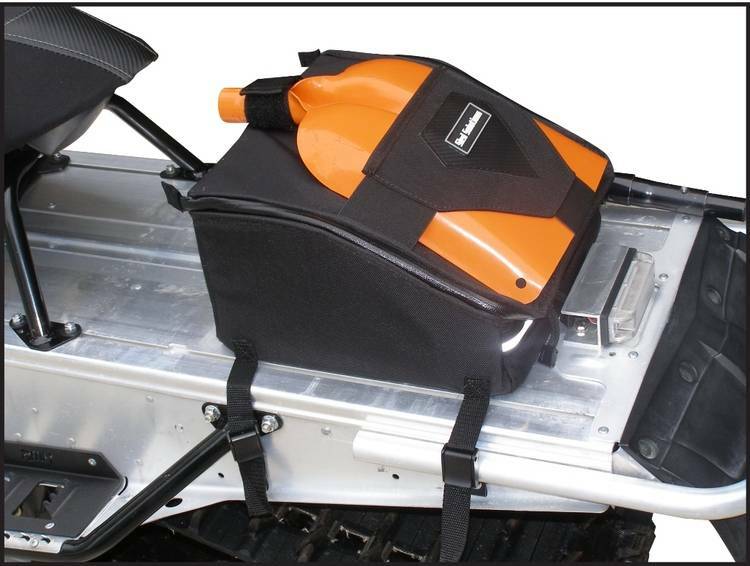 •	99% waterproof – The snowmobile bag is everything but submersible but you can count on your content staying dry as the bag has been designed using materials and sewing practices that eliminate places for water to get in. •	Hot/Cold Barrier – Helps keep the heat from the heat exchangers from ever hitting the cold air in the snowmobile bag. •	Semi Ridged construction – The snowmobile tunnel bag will keep it shape empty. •	Inside you’ll find a mesh zipper compartment on the bottom side of the lid and mesh pouches on the sides. 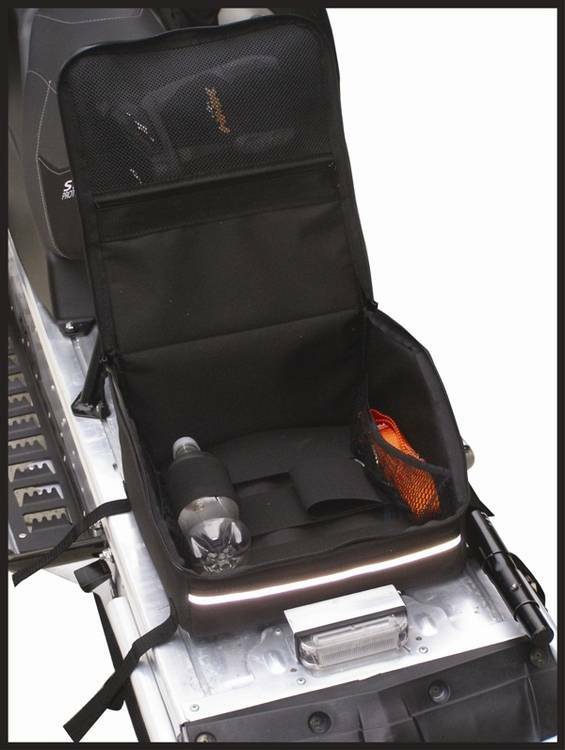 •	3 elastic straps are located in the bottom of the snowmobile bag to keep your contents in place during your ride. •	2 elastic loops to keep water or pop from bouncing around in the snowmobile bag. • 4 plastic feet are sewn into the bottom of the bag to keep it off of your tunnel and prevent wear to the tunnel bag. •	1 year limited warranty against manufacturer defects. •	Approximately 950 cu. in.